Memento Mori brings us a crime story set in ancient Roman Britain, this time in the spa town of Aquae Sulis, today's Bath, England. The town today boasts many Roman ruins including the mineral baths, and those baths play a central role in this tale. As always, the author looks to history for inspiration, and provides amateur historians lots of information and era flavor to enjoy. Ruso is the main character of the series set in AD123 (in this book). He's a Roman-Gaul (modern day France) who served as a doctor (medicus) in the Roman army. In the course of the series, Ruso followsd the example of many of his fellow service members, and marries a local woman. Tilla, Ruso's British wife, contrast entertainingly with her husband, with the two forming a cohesive whole that is very appealing. 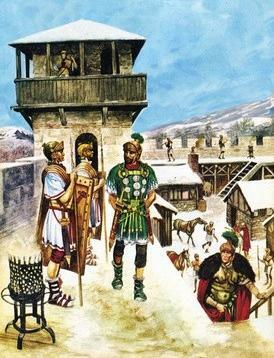 One thing I've admired about the series is how the life of the Roman soldiers, as seen through Ruso and his comrades, always links the story and characters firmly to modern times. That is true in this book too. Ruso in this book has retired from service and moved in with his wife's relations in Northern England. But being Ruso and Tilla, a crime surfaces very quickly to draw them south to the spa town to help out an old friend. There are several old friends in the book, which will please followers of the series. 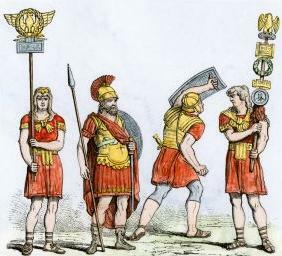 Much of the humor in the series comes from the contrast between British and Roman customs and ways of thinking. Sections alternate between the third-person limited point of view of Ruso and Tilla, and a few other characters now and then. Those perspectives ring true, as do the interactions between husband and wife. All the characters feel very human, which has been a strength of the series from the beginning. I felt that the narrative flows logically and is easy to follow, and it is entertaining all along the way. 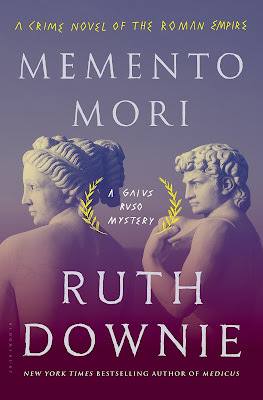 I tend to get restless reading the middle section of crime and mystery novels, at the point where the author mixes it all up and adds in red herrings and odd strands of side stories, but that didn't happen with this book (nor with the others in the series). I enjoyed it all! The Kindle version of the book has this alternate cover. 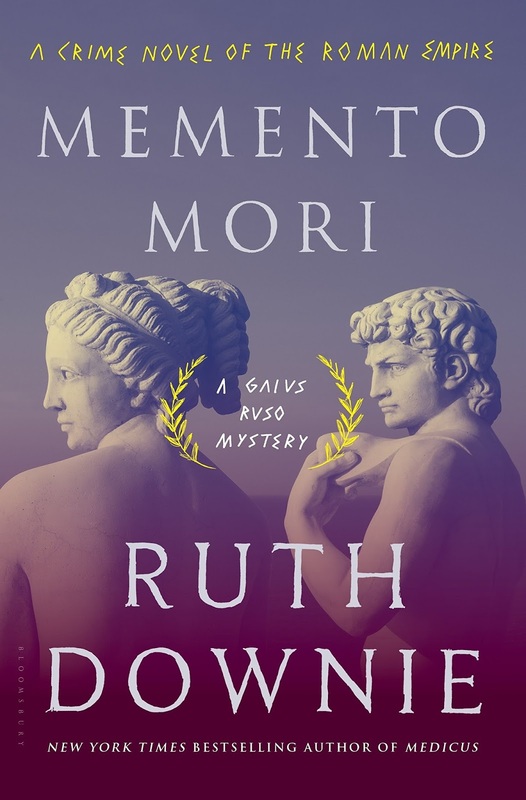 The eighth gripping novel in the bestselling Medicus series, in which Ruso and Tilla investigate the death of the wife of Ruso's friend in the sacred hot spring of Aquae Sulis. 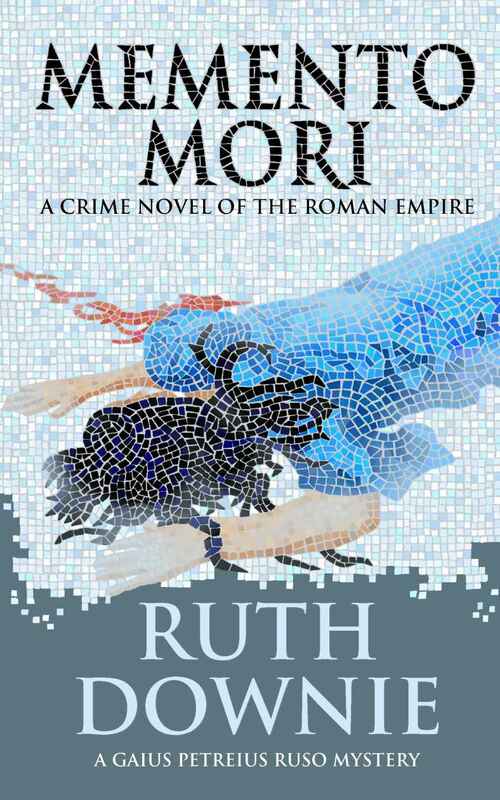 A scandal is threatening to engulf the popular spa town of Aquae Sulis (modern-day Bath). The wife of Ruso's best friend, Valens, has been found dead in the sacred hot spring, stabbed through the heart. Fearing the wrath of the goddess and the ruin of the tourist trade, the temple officials are keen to cover up what's happened. But the dead woman's father is demanding justice, and he's accusing Valens of murder. If Valens turns up to face trial, he will risk execution. If he doesn't, he'll lose his children. Ruso and Tilla do their best to help but it's difficult to get anyone--even Valens himself--to reveal what really happened. Could Ruso's friend really be guilty as charged?